The first time I heard the single, “Neighborhood Bully” on the radio, I was duly impressed. To me, that song had a bit of hard rock swagger to it with a very catchy rhythm. In fact, it has taken it’s place as my fourth favourite Bob Dylan song. What also has fascinated me about the song was trying to figure out who was the neighborhood bully he was singing about. My first, thoughts was on account of the political climate at the time, that the bully might have been the Sandinista regime in Nicaragua and Ronald Regan’s determination to make war on it. It could have been a Middle Eastern country and it turns out that I was right. After reading about it, (they didn’t have Wikopedia in 1983), I found out that he was singing about Israel and the persecution of the Jewish people as well as the contributions they have made to the world. The fact that this has mystery has finally been cleared up for me after more than thirty years doesn’t take away the fact that it’s still a brilliant rock tune. It appears that Bob Dylan realized he stumbled onto something when he decided to go electric with his live “Hard Rain” album way back in 1976. For most of “Infidels,” he uses the electric guitar and his songs sound more rock. “License to Kill” and “I & I” are good examples here. You definitely can not call him a folk singer who sings through his nose on this album. However, I did read back then that some called him that old singer who sounds like Dire Straits. Well, there’s truth in that. The first time I heard Dire Straits, I thought it was Bob Dylan singing with Eric Clapton backing him up on guitar. Maybe it could be true owing to the fact that Dire Straits guitarist and lead singer Mark Knoepfler produced the album and he does a grand job in doing so. 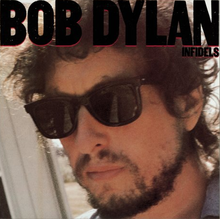 I think that on “Infidels,” Dylan sounds the best he has in years. But before anyone goes off and says that Dylan had some how changed, let me say that he still tackles relevant social and political topics of the time just like the Bob Dylan of old. He just makes the music behind his messages much more enjoyable. 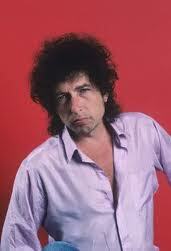 It would be silly of me to say that Bob Dylan was back in 1983 because he never went anywhere. He simply changed what he was singing about and went back to more traditional topics. This was still a brave thing to do in the ever increasing conservative mood of 80s Regan America. Still, he did and he proved that he could rock a bit as well. 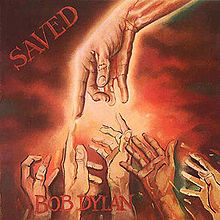 “Saved” was Bob Dylan’s second album after his conversion to Born Again Christianity and like his previous album “Slow Train Coming,” he uses his music to express his beliefs. I never had a problem with this but then I used to listen to Stryper and Merciful Fate in conjunction with each other calling it my heaven and hell moments. Unfortunately, a lot of people did as I remember reading letters to rock magazines stating that Dylan should keep his religious beliefs out of his music. 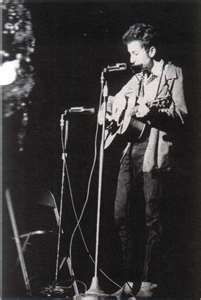 Then again, I sometimes wonder how people could say that in the first place because I found that Dylan seemed to mumble a lot through these songs so you couldn’t always tell whether or not he was singing about Jesus. Many of the songs on here have a perky, uplifting gospel rock feel to it. It didn’t convert me but I did like many of the songs irrespective of the subject sung about. The title track “Saved” is definitely the stand out for me on this album. “Covenant Woman” is also rather a strong track. The rest of the album is more of a relaxed sound and it’s got me thinking about Pink Floyd now because I would use this album to mellow out like I do with Floyd and the content on the album would not stop me from puffing the magic dragon. Whether you are religious or not, this is still an album worth listening to, something to mellow out with. Bob Dylan’s future albums would steer away from religion but that’s another story. However, I remain convinced that it was these two Dylan albums that paved the way for Christian rock and that if it wasn’t for Dylan, than we might not have had Stryper.